Nacho reflects on his first wrestling match while cleaning up in the bathroom. He relives the glory of fame until Esqueleto bursts his bubble with the truth--they lost the wrestling match. The Proverbs are a fascinating collection of Hebrew wisdom. Just about every ancient culture collected them. Certainly every culture has a set of sayings that try to make meaning out of life or prescribe the best practices in which to partake. For instance, An apple a day keeps the doctor away. You see, we have proverbs too! This particular proverb probably falls in the most popular 2% of all scripture. People who don't know a thing about the Bible can be heard reciting, Pride goes before a fall! with no problem. It is probably so popular because it describes a scene that plays out (perhaps literally) in every single human being's life at one point or another. Clearly, this litle saying is meant to prevent a catastrophe from occurring. The writer wants to keep his audience from feeling the sting of embarrassment and in order to accomplish this, he recommends that the reader be humble. Paul echoes this sentiment in 1 Corinthians 10.12: If you think you are standing strong, be careful not to fall. (NLT) This is something important for all believers to remember. It is easy to get a "holier than thou" attitude when we are able to attend every meeting but others can't or won't for some reason. 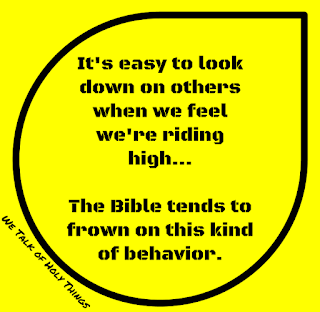 It's easy to look down on others when we feel we're riding high and others may not be at that point yet. 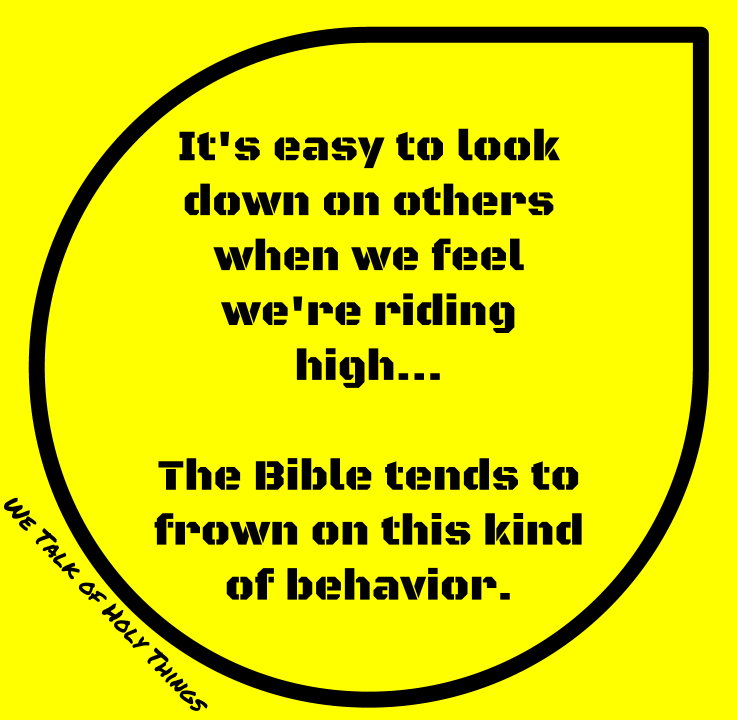 The Bible tends to frown on this kind of behavior. Be careful when you start feeling good about where you are, because if you're not careful, you may get knocked unconscious.